Choosing an air conditioning system for your home can be a daunting task because of the different types that are available. This is why you should consider what the most popular types of air conditioners are and what they have to offer. 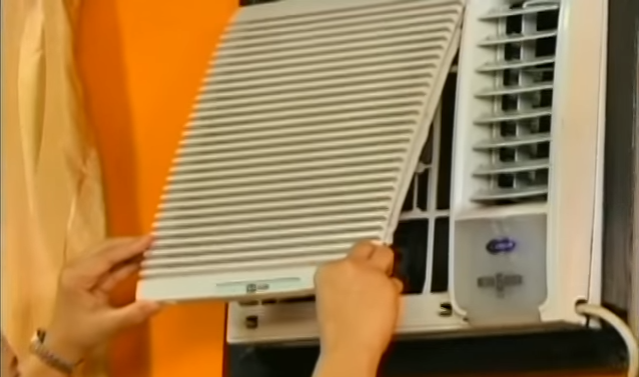 The popular aircon brands which recommended by many aircon service provider including Mitsubishi, Panasonic, Fujitsu, Daikin, LG and Toshiba. This will help you make an informed decision about the system that you want to get. The most common type of air conditioner is a central air conditioning system. The popularity of this system is the fact that it works very well in large homes as it can effectively cool the entire area. When using a central air conditioning system, the cooled air will circulate through supply and return air ducts. The supply ducts for the system will generally be in the walls or the floor. The system will pump cool air into the rooms of the house and when the air becomes warm again, it will be circulated back into the ducts and taken to the air conditioner. The primary issue that you might face with this type of air conditioning system is the planning and preparation needed to install it. If you have a system that is the incorrect size, you will find your utility bills increasing and the cooling system not being very effective. Another popular type of air conditioner is the ductless mini-split unit which is the most common with homes that have been retrofitted. This system is ideal if you need to install an air conditioning system into an existing property. Like central air systems, these systems will have an outdoor condenser and an indoor handling system. The primary benefit of this system is that you will be able to cool individual rooms in your home and not have to cool the entire house when you use it. These systems can have up to 4 indoor handling units which can be connected to the outdoor unit. This is ideal for smaller homes where you want more control over what is happening with the heating. Window air conditioners are one of the most popular compact systems that you can get. As with ductless mini-split conditioners, you will be able to cool individual rooms with this type of air conditioner. These systems are also known as unitary units and, as the name suggests, will be installed in the window of the room that you want to cool. These air conditioners will cool a room by drawing the warm air out of the back of the unit and blowing cool air back into the room. These units are ideal for people who live in smaller spaces as they generally do not have the power to cool a larger home. Smaller houses and apartments will benefit from these air conditioners as will people who share a house and need to cool only their room. The portable air conditioner is being considered as the next generation of the window air conditioner. These units will draw the warm air into the system, cool it and then direct it back into the room. The unit will have vents which pump the warm air outside of the house via an exhaust hose. The hose will e installed in the window instead of the entire air conditioning unit. As with window units, portable air conditioners are made to cool a single room at a time. The primary benefit of these units is that they are easy to install, affordable and versatile. You will be able to stay cool in your home easily with these units as they can be moved to a different room if needed. If you are looking for the most popular sustainable energy air conditioning system, geothermal systems are the ones for you. These systems are not only sustainable, they are energy efficient and have a long lifespan. These systems will use the ground temperature to regulate and cool your home. Ground temperature is generally a consistent one and these systems will extract the cold from the ground and transfer it into your home. This is done with a geothermal coil which is installed deep into the ground. The benefit of these systems is that they can be used for heating and cooling your home. To find out more, click here.